Price is obviously not an issue for those who can afford a Mulsanne, so buyers might as well take advantage of Bentley's bespoke program to build the car that best represents their tastes. The new Extended Wheelbase model only makes the 2017 Bentley Mulsanne more of what it was meant to be: a heroically impressive hyper-luxury limousine. The Mulsanne is the largest, most luxurious Bentley yet, hand-built to exacting specifications and customizable with nearly anything you can imagine. The iconically styled Mulsanne carries on all the marque's traditions to present a regal, polished face to the world. Released for the 2011 model year as a replacement for the Azure, the Mulsanne gets its first major update for 2017. The highlight is the addition of a new Extended Wheelbase model that is 9.8 inches longer, with all the length benefiting rear leg room. Other changes include exterior tweaks front and rear, an all-new infotainment system, new contoured seats, a stiffened chassis, and a host of new rear seat options to take advantage of the extra room in the Extended Wheelbase model. 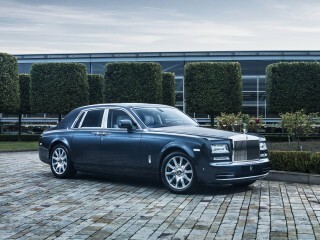 The Extended Wheelbase joins the base model, called Signature, and the sportier Mulsanne Speed. While the look is very much the same as the 2011-2016 models, the Mulsanne receives some styling tweaks for 2017, including a whole new front end from the windshield forward. The commanding grille is 3.1 inches wider this year, and it adds vertical vanes like Bentleys of old. However, the matrix shape of the grille mesh is also there; it just rests behind those bars, The headlights retain the standard rounded look, but they are new, using exclusively LEDs with an outer light ring. The outer lights move up slightly to sit on the same plane as the headlights. 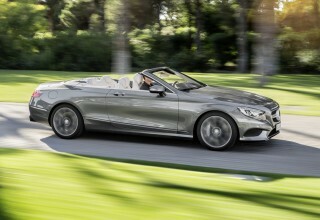 The look is very much the same for the Extended Wheelbase model. However, the rear doors longer, and to break up the large mass of sheet metal the extra length creates, Bentley has added a dip in the shoulder line just ahead of the rear wheel. We like this bit of design flair and think the standard length car would benefit from it as well. Under the hood of all models is a twin-turbocharged 6.75-liter V-8 engine. This engine traces its lineage back 60 years and it is odd in that it is a pushrod V-8 from a European manufacturer. It may be somewhat outdated, but it is not lacking in power. In standard form it puts out 505 horsepower and 752 pound-feet of torque. The resulting acceleration is brisk, reaching 60 mph from rest in just 5.1 seconds, 100 mph in 11.6 seconds, and a top speed of 184 mph. 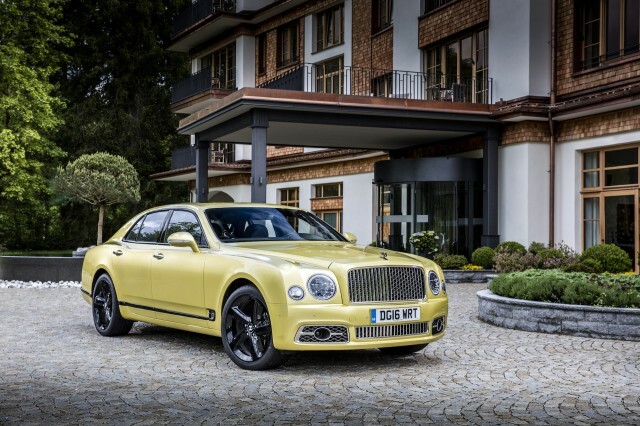 Opt for the Mulsanne Speed, however, and you’ll get 530 hp and 811 lb-ft of torque. The performance numbers are even more impressive, especially when you consider that this a brick-shaped car that weighs almost three tons: 0 to 60 mph in 4.8 seconds, 0-100 mph in 11.1 seconds, and a top speed of 190 mph. The 8-speed automatic gearbox in the Mulsanne is smooth in standard form. In the Speed, it’s calibrated to take advantage of the increase torque. but it is still quite smooth. With the addition of the Extended Wheelbase model, Bentley employed several measures to stiffen the structure, most of which benefit all models. The crossmember closest to the rear subframe was thickened and longitudinal shear plates were added in the same area. The subframe mounts and suspension mounting points were also strengthened. Finally and only for the Extended Wheelbase, the lower door sills were fortified. All Mulsannes feature a self-leveling air suspension with continuous damping control. The capacity and efficiency of the air suspension are increased this year, and it works with those adjustable shocks to handle the car’s 5,919-pound curb weight admirably, even in Comfort mode. The ride is even more controlled in the Bentley and (in the Speed) Sport settings. When attempting to hustle the large Mulsanne Speed through curvier sections of highway, the Bentley or Sport modes are preferable, as they maintain ride comfort while better enabling the side-to-side transitions required at a brisk pace. In the Mulsanne Speed, Sport mode also adds heft to the steering, improving feel. Around town, Comfort mode is the preferred mode of travel, and the Mulsanne Speed provides all of the comfort of the standard car—it just holds a little more pace in reserve. In other words, the Speed envelops the standard Mulsanne’s capabilities without sacrificing anything. Those shared capabilities are impressive, too, and most of them relate to coddling occupants, entertaining them, or getting work done. No fewer than 16 full cow hides constitute the door-to-door, floor-to-ceiling leather upholstery, each hand-selected for its fine grain and feel. Rich wood veneers (typically walnut, but many others are available) wrap around the entire cabin. Finely finished metals lend substance and heft to vent pulls and knobs. Switches and buttons are largely made of glass, another material that lends the car's air of permanence and substance. Seating, front and rear, is eminently comfortable, infinitely adjustable, and truly beautiful. 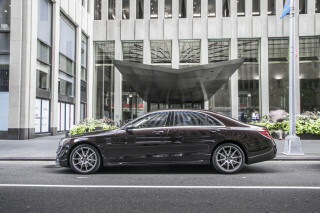 The front seat is no help-only zone: it’s rich and lavish and as well-finished as the rest of the car. The new infotainment system is state of the art, thanks to Bentley's affiliation with Audi. It features both an 8-inch touchscreen and a rotating dial controller, a la Audi's MMI system, and it comes with Apple CarPlay compatibility and in-car wi-fi via 4G LTE connectivity. Hyper luxury cars often lag in infotainment options, but the new Mulsanne does not. The addition of the Extended Wheelbase model extends the list of rear seat options. The new $13,670 Comfort Specification comes with two rear airline-style reclining seats with leg rests, massage and ventilation for all four seats, comfort headrests with Alcantara headrest pads, and two loose bolsters. Bentley says the leg rests extend further than any on the market. Also new is the $19,355 Entertainment Specification with Google Maps. It comes with a 20-speaker, 20-channel, 2,200-watt Naim audio system, veneered rear picnic tables that fold down from the front seatbacks, and a pair of 10.2-inch Samsung tablets, also located in the front seat backs. These removable tablets allow rear seat passengers to control the car's climate and entertainment systems, surf the web, and gain access to thousands of Android apps. All Mulsannes are available with a bottle cooler (for wine or champagne) with matching flutes that sit between the rear passengers. Reading out the standard features list of the Bentley Mulsanne is an exercise in excess, too. A specially developed, flat-cut and leather-bound carpet ensconces the interior floor, available in 22 colors; 23 seat belt colors are available, with buckles color-matched to the hides selected; the aforementioned wood, metal, and glass trim and switchgear elements; the driver’s panel’s inverted aviation-style gauges; an 8.0-inch display for the infotainment system, 14-speaker audio system, and much more. Other standard and available options include acoustic glazing with infrared reflective layer; rear privacy blinds; front and rear cigar lighters with ashtrays; CD, DVD, SD, and USB inputs; Bluetooth connectivity; and much more. Standard safety features include front driver and passenger airbags, head and thorax airbags for front and rear passengers, seatbelts with pyrotechnic pre-tensioners and force limiters, ISOFIX child seat tethers, and an interior volumetric alarm system. Newly available for 2017 are blind spot warning and adaptable headlights that adjust the beam based on speed: short and wide for low speed, long and narrow for high speeds. Adaptive cruise control is also available. The 2017 Mulsanne hasn’t been and won't be crash tested by the usual agencies. If you’re concerned with gas mileage, the Bentley Mulsanne isn't for you. Bentley hasn't released 2017 fuel economy figures, but they should match the 2016 ratings of 11 mpg city, 18 highway, 13 combined. These figures are actually pretty good for such a powerful, heavy car thanks to cylinder-deactivation technology that disables four of the eight cylinders while cruising at constant speed.